I was absolutely delighted to attend “Natural Wines of Sicilia and Sardegna” wine tasting and class at Otto Enoteca in NYC a couple of Saturdays past. It was a fun, informative tasting led by Sommelier Dan Pucci and featured 5 wines from Sicily and Sardinia crafted by winemakers using only natural, organic and biodynamic methods. Each wine was distinctive and told its own story; from the funky Tami Grillo to the just released Bonavita Rosato to the rare, native Tenute Dettori Pascale, all remarkable and engaging! Arianna Occhipinti is the owner and winemaker behind Azienda Agricola Occhipinti in Vittoria, Sicily. She is renowned for her fantastic Frappato and Nero d’Avola. In 2009, she founded the TAMI label with a vision of making natural wines accessible to everyone. The wines are unoaked and fermented with only native yeasts, and are crafted to be “everyday wine of simple taste, and well made”. 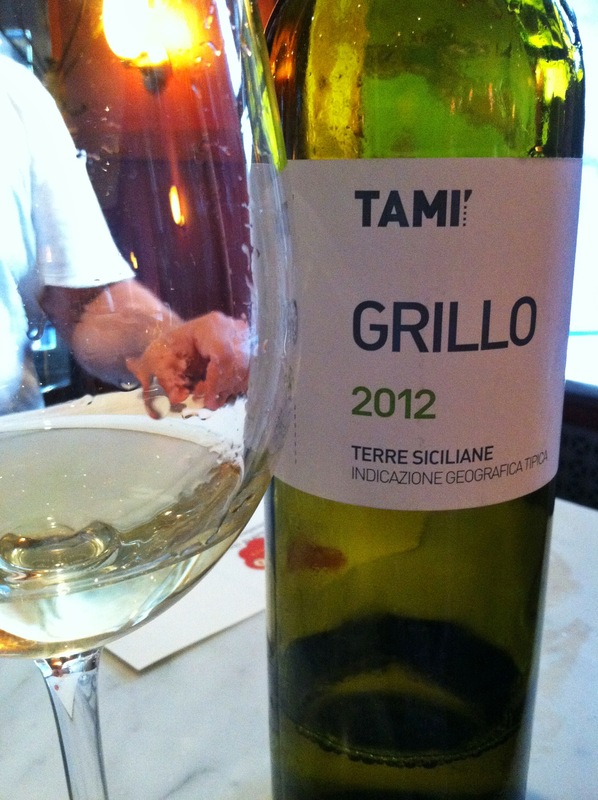 Grillo [also known as Riddu] is a white grape indigenous to Sicily and has been known for its use in producing Marsala. Recently winemakers have been adding it to white blends and experimenting with it as a standalone varietal. Fresh lemon and wet wool radiate in this funky white, roasted nuts and honey linger between each distinctive sip. Biodynamically crafted with only a minimal amount of sulphur imparts a pleasant yeasty, IPA beer-like essence. The Scarfone family has been cultivating their vineyards in Messina located in the northeast corner of Sicily for over a century. Today Emanuela and Carmelo Scarfone are assisted by their sons Giovanni and Francesco on the 6 hectare estate, of which 2 hectares are vineyards he rest consists of olive, oak and chestnut trees. One of their main objectives is to produce wine in harmony with nature. They do not use any chemical substances at all, and organic fertilizers are only applied in the autumn. The average vine age varies between 6 and 50 years. Clear bright brick-red in colour with aromas of sour cherry and cranberry, juicy cherry and strawberry flavours were backed by savoury rosemary and earthy traces in the light to medium body. Clean, refreshing and super easy drinking, this is a fantastic glass on its own or with a wide variety of dishes. 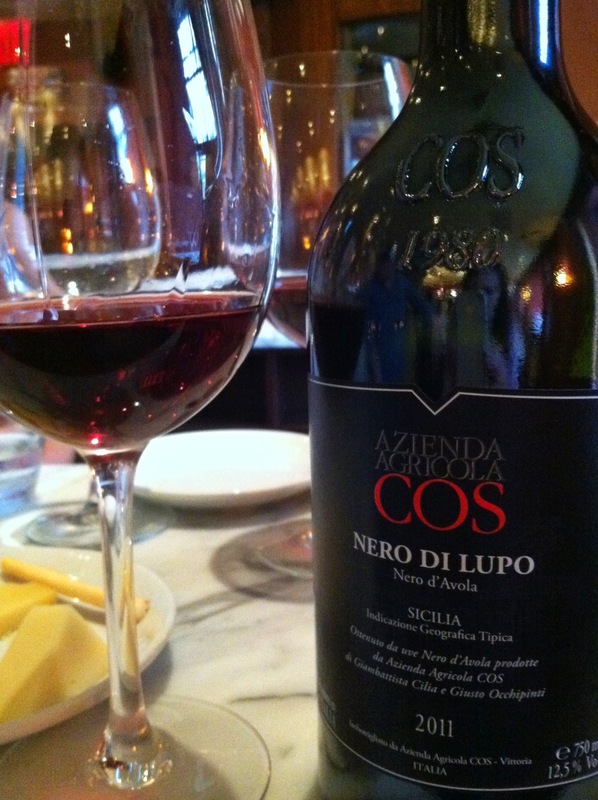 Azienda Agricola Cos was established in 1980 by three friends when they purchased Joseph Cilia’s family winery, Cos is an acronym of the founders Giambattista Cilia, Ciusto Occhipinti and Cirino Strano. Their mission is to “recreate the work of their ancestors” and to interpret e the unique terrior of Vittoria. To that end they adopted the principles of biodynamic viticulture along with a few ancient Greek cellar methods, such as fermenting and ageing in clay amphorae that are partially buried in the ground. Using native varietals, they “allow the grapes to express themselves naturally”, as well as “represent their time and place”. Dense aromas of raisin, autumn woods and sandalwood introduced bright black cherry notes along with black tea tannins, iron minerals and lingering traces of dried strawberry. This is a clean and lean glass that will disappear with a lithe swiftness before you even notice. 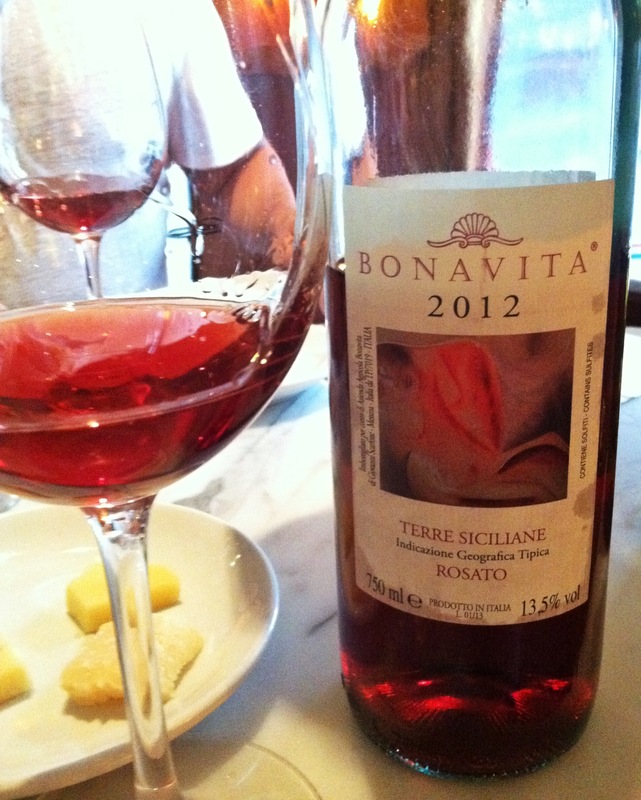 The Dettori family has been “cultivating the earth and the vine from time immemorial”. They are dedicated to crafting wines that express themselves and reflect the place from which they come. The family takes care of all activities in both the vineyard and cellar, and these are all carried out by hand. Passionate about preserving the environment and harmony between man, vines and animal, they practice “common-sense agriculture”, do not use chemicals of any type, and craft their wines without filtering or clarifying. Badde Nigolosu is there “Cru”, it is a natural amphitheater located on the highest hills in the Romangia region, Pascale is an indigenous Sardinian grape that has been cultivated there for many centuries. Cherry, strawberry, and raspberry fruits abound in the fresh, gossamer-like body [which is seemingly unbelievable with a 15.5 % alcohol content! ], whilst sweet tobacco, Chinese spice and gamey, earthy nuances linger enticingly between each sip. Absolutely fascinating, this is an enchanting glass that appreciates conversation and dinner. All prices listed are the internet average cost. Pingback: Cassatelle o Cassateddi trapanesi o sanvitesi | "Goditi la tua vacanza nel giusto relax"
Best kept secrets in Wine, in my humble opinion!